Designed to last the Speedo ® Mens Endurance+ Monogram Swimming Trunks are made with comfort and durability in mind. Part of the Speedo ® Essentials swimwear range. 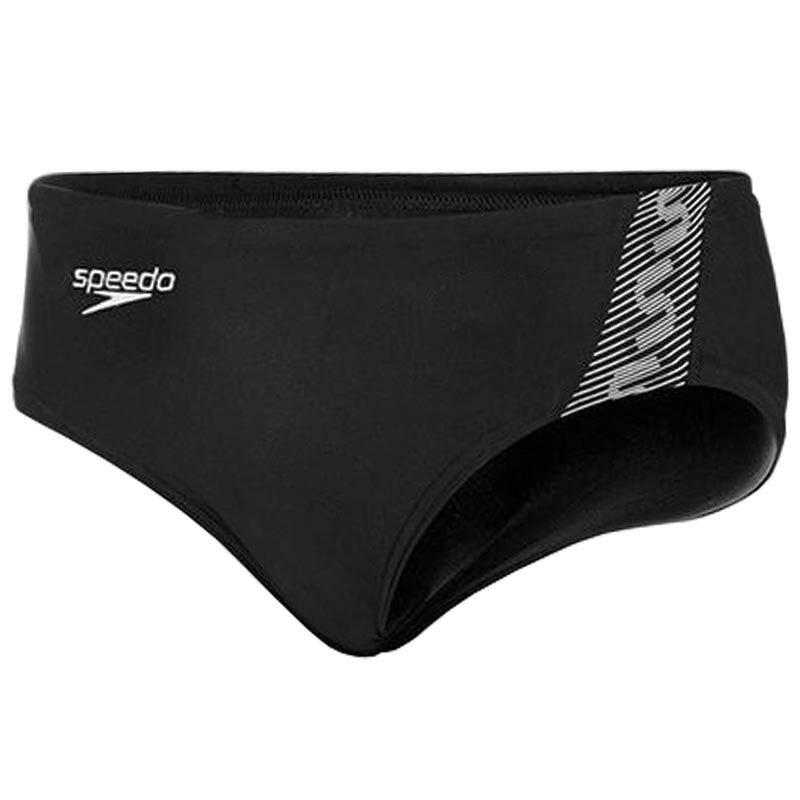 Speedo ® Endurance Plus fabric is designed to last longer. It is 20 times more fade resistance than conventional elastane swimwear, with improved snag resistance and is 100% Chlorine resistant, as it contains no elastane so will not degrade in the water and for convenience is quick drying as it has a lower level of moisture absorption. Simple style for excellent freedom of movement. Endurance+ fabric which is quick drying and retains shape swim after swim. They are very good. Good fit well made. The amount of swimming I do to keep fit they need to last a long time. I have got 4 pairs of them. They fit nice the endurance fabric comfortable yet and little heavier less reveling . I like the 7 cm sides can't buy them in the U.S I have other endurance swim briefs. Been wearing speedo briefs my whole life and will continue. . I bought few Speedo Mens Endurance Monogram Swimming Trunks. The Speedo swimming trunks are very comfortable and they fits well. I like it. I strongly recommend for it. As for value for money aspect - it gives high positive ratio. Unable to buy these speedos in the local shops. Thank heavens for internet shopping. I looked all round Limerick and also numerous times in retail outlets in the States - all to no avail. I've always had a 32" in Speedos, Still have couple from last year. Tried for a couple of days, found them too baggy round the legs, had to revert to my old ones for the rest of the holiday.